One of the most impressive parts about his stage persona and the way he delivers his punchlines is how he makes all of this come across as downright cheerful. There's no pity being requested or regret to be found. 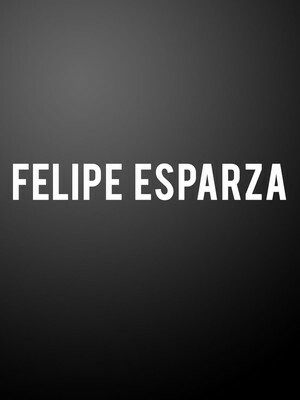 With his wild tangle of curly black hair and a boyish, mischievous grin permanently on his face, Felipe Esparza cuts a unique figure in the world of stand up. 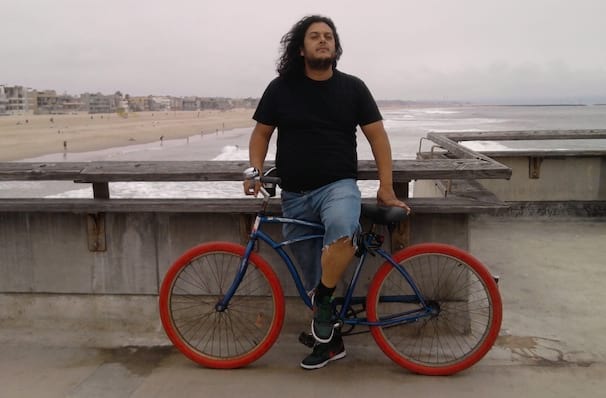 Winner of the 2010 season of Last Comic Standing, the Mexican-born, East LA-raised funnyman overcame the poverty, gang violence and drug addiction of his youth using comedy as an emotional outlet. Don't miss the hilarious dark horse during his Bad Decisions Tour! Esparza's life-story reads like a twisted, modern fairytale. The son of immigrants, he fell in with a gang and wound up in rehab where a spiritual advisor helped him to get clean and follow his dreams of becoming a comic. Fusing upbeat energy with black comedy inspired by the hardships that shaped him, Esparza pulls no punches on stage. His deeply funny, self-deprecating routines are filled with authentic, true-to-life observations ranging from his dysfunctional relationship with his parents to the politics of his Latina heritage in the Trump era. Sound good to you? Share this page on social media and let your friends know about Felipe Esparza at The Theater at MGM National Harbor. Please note: The term The Theater at MGM National Harbor and/or Felipe Esparza as well as all associated graphics, logos, and/or other trademarks, tradenames or copyrights are the property of the The Theater at MGM National Harbor and/or Felipe Esparza and are used herein for factual descriptive purposes only. We are in no way associated with or authorized by the The Theater at MGM National Harbor and/or Felipe Esparza and neither that entity nor any of its affiliates have licensed or endorsed us to sell tickets, goods and or services in conjunction with their events.